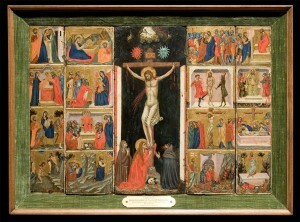 Multiepisodic pictorial programs such as those in the two triptychs discussed above provided templates for meditation. 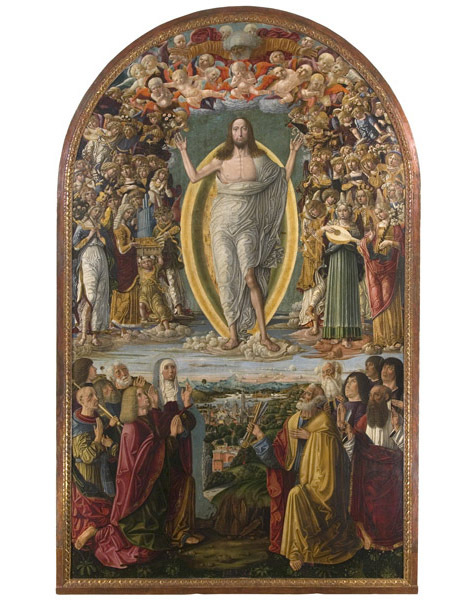 The worshipper would process the painted scenes, like the mental images, by “moving slowly from episode to episode, meditat[ing] on each one.” Over time, such paintings would be committed to memory, serving as vivid mental models that the worshiper could draw upon at will. 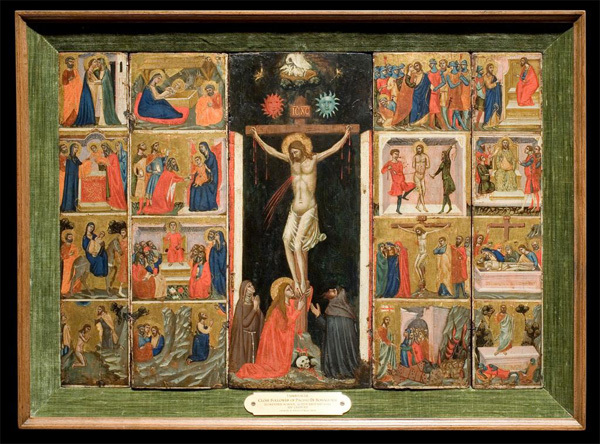 The same discrete multiepisodic, sequential approach to narrative can be found in many religious paintings of the fourteenth century, from large-scale mural cycles representing events in the lives of holy figures to small devotional objects, such as a custodial (sacramental container) of circa 1325 in which sixteen scenes from the life of Christ frame a central Crucifixion. 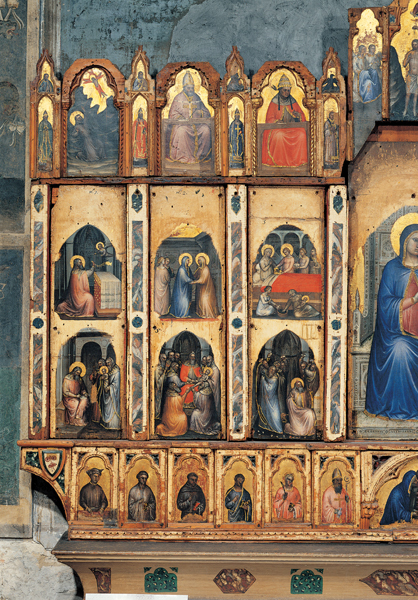 The predella panels at the base of altarpieces, which persisted to the end of the fifteenth century, proved to be the most enduring format for episodic narrative cycles. 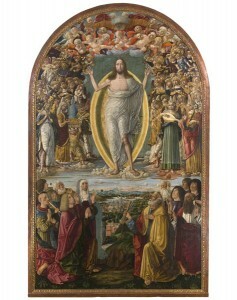 Benvenuto di Giovanni’s altarpiece, probably 1491, for the monastery of Sant’Eugenio near Siena (see interactive) centers on a large painting, The Ascension of Christ, with five small predella panels providing the backstory: The Agony in the Garden; Christ Carrying the Cross; The Crucifixion; Christ’s Descent into Limbo; and finally, The Resurrection.